Explore the Integrative Medical Sciences Department faculty research laboratories. Our research focuses on the molecular mechanisms underlying redox signal pathway in mediating the disease pathogenesis of myocardial infarction. We are interested in the role of mitochondria-derived oxygen free radicals, signals of glutathione and nitric oxide in regulating oxidative post-translational modifications (OPTM) and how these events impact the bioenergetics function of mitochondria in the post-ischemic heart. One line in our work has established alterations of protein S-glutathionylation in mitochondrial complex I and complex II are linked to mitochondrial dysfunction caused by oxidant stress after myocardial ischemia and reperfusion. In collaboration with the principle investigators of NEOMED/KSU, we are extending the research of this marker to the animal models of type II diabetics and obesity. A second area of work in the lab is focused on the redox pathway of GSH in controlling the status of complex I/complex II S-glutathionylation and superoxide generation mediated by electron transport chain during myocardial ischemia and reperfusion. The mechanism underlying if protein S-glutathionylation as an indicative of overproduction of superoxide in vivo or not is extensively explored. We employ the pharmacologic approach and genetic modified mouse model to study the mechanism of altering redox modification of mitochondrial proteins. We employed the technique of electron paramagnetic resonance (EPR) to measure the oxygen free radical(s) and redox status of mitochondria in heart. A third area of work in the lab is focus on how eNOS signal pathway regulates mitochondrial function in the heart and the OPTM of mitochondrial electron transport chain in the post-ischemic heart. In collaboration with the investigators from the OSU, we has established that increasing protein tyrosine nitration of complex I and complex II was detected in the post-ischemic heart, and closely related to overproduction of NO by eNOS in the early phase of reperfusion. Physiologically the signal of NO generated by eNOS can regulate mitochondrial respiration, and further modulates the redox status of mitochondria in myocytes. We employ the genetic modified mouse and generate a new mouse model to investigate how the signal by eNOS regulates complex I/complex II S-glutathionylation, and related mitochondrial dysfunction resulted from post-ischemic injury. 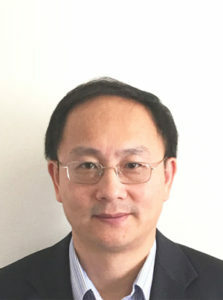 John Y. L. Chiang, Ph.D.
Dr. Chiang’s research is focused on studying bile acid and cholesterol metabolism in the liver and the role of bile acids and nuclear receptors in regulation of glucose, lipid and energy metabolism in liver diseases, diabetes and obesity. This laboratory first purified cholesterol 7α-hydroxylase (CYP7A1), a microsomal cytochrome P450 with strict substrate specificity for cholesterol, and cloned the gene CYP7A1. CYP7A1 is the first and rate-limiting enzyme in the classic bile acid biosynthetic pathway that converts cholesterol to bile acids. Bile acids are physiological detergents that are required for intestinal absorption and transport of nutrient, fats, steroids, and drugs. Bile acids are the end products of cholesterol catabolism in the liver. Bile acids undergo enterohepatic recirculation back to the liver to inhibit bile acid synthesis and CYP7A1 gene transcription. Bile acids are endogenous ligands of a bile acid receptor FXR, which regulates lipid and glucose metabolism, and the xenobiotic receptors, PXR and CAR, and VDR, which induce phase I drug metabolizing CYP enzymes, phase II drug conjugating enzymes and phase III drug transporters in liver and intestines. Dr. Chiang has been studying the molecular mechanisms of transcriptional regulation of the CYP7A1 gene. His laboratory is the first to identify a bile acid response element in the CYP7A1 gene promoter that contains several several hormone response elements, which are putative binding site for nuclear receptors such as HNF4, LXR, and LRH. It is thought that FXR induces a negative nuclear receptor SHP, which inhibits the transcriptional activity of HNF4 and LRH, and results in inhibiting CYP7A1 gene transcription. In the intestine, bile acid-activated FXR induces FGF15/19, which may be transported to the liver to activate a membrane FGFR4 receptor signaling to inhibit CYP7A1. Dr. Chiang’s research also studies FXR-independent bile acid signaling in activation of several signal transduction pathways including MAPK, TGFβ, TNFα, HGF, FGF19/FGFR4, insulin and VDR. These signaling pathways play critical roles in cell growth and differentiation, drug metabolism, inflammation, cell proliferation, cell death and liver injury. Bile acids play a key role in maintaining metabolic homeostasis in the liver. Bile acid signaling regulates lipids, glucose, and energy homeostasis via bile acid-activated nuclear receptors. Bile acids also activate a membrane G protein-coupled receptor TGR5 in brown adipose tissue and induce deiodinase 2, which convertsT4 to T3 and stimulate energy metabolism. More recently, Dr. Chiang’s laboratory has generated transgenic mice that overexpress CYP7A1. These mice have enlarged bile acid pool and more hydrophoblic bile acid composition, and are resistant to Western high fat diet-induced insulin resistance and obesity. This study demonstrates that increased bile acid pool may reduce serum triglyceride, increase insulin sensitivity and energy metabolism to reduce weight. These mice are being crossed to Fxr and Shp knockout mice to study FXR-independent bile acid signaling in liver metabolism. His laboratory also created humanized CYP7A1 mice, which carry a human CYP7A1 BAC clone in Cyp7a1 knockout background. This mouse model will be used as an in vivo model to study molecular mechanism of human CYP7A1 gene transcription. More recent study in Dr. Chiang’s laboratory shows that glucose is a physiological activator of CYP7A1 gene transcription. Glucose and insulin signaling activates CYP7A1 gene transcription by increasing Histone acetylation and decreasing Histone methylation. This epigenetic mechanism may rapidly stimulate bile acid synthesis during postprandial state to maintain lipid and energy homeostasis. In both type-1 and type-2 diabetes, bile acid synthesis and pool size are increased and glucose/insulin does not further increase bile acid synthesis, suggesting that bile acid metabolism is dysregulated in diabetes. Bile acids and derivatives are being used for treatment of gallstone and digestive diseases, diabetes and obesity. My interest in the vascular biology has been developing for many years along the lines of acute and chronic adaptations of the coronary circulation to physiological and pathophysiological stresses. With regard to chronic adaptations of the coronary circulation, my laboratory was the first to show that ischemia, rather than shear stress, initiates coronary collateral growth. Shear stress is not precluded from this process; rather this mechanism plays a role in the expansion of the vessel after the ischemic stimulus wanes. More recently my laboratory has studied the role the mitochondrial oxidative stress in coronary collateral development, and we have found that such stress blunts the adaptive growth of coronary collaterals. Moreover, rectification of oxidative stress will restore collateral growth in a preclinical model with a poor growth phenotype. With regard to acute adaptations of the coronary circulation to physiological and pathophysiological stresses, I am proud of the accomplishments of my laboratory: we were the first to document myogenic and flow-dependent control of coronary tone; the distribution of microvascular resistance in the beating heart, the effects of preconditioning extended to the vascular endothelium, the mechanism of alpha-adrenergic coronary constriction involves release of a cardiac myocyte derived vasoconstrictor, coronary metabolic dilation is a feed-forward process involving mitochondrial production of H2O2, metabolic dilation is mediated by redox reactions, and Kv1.5 channels play a critical role in metabolic dilation in the heart. My research studies are concerned with the understanding of how certain human papillomaviruses (HPVs) induce uterine cervical cancer, a major cause of women mortality worldwide. There are now known to be a number of other cancers associated with these viruses, such as head and neck tumors and various skin cancers. Uncontrolled expression of papillomavirus oncogenes may be the spark to ignite the process toward carcinogenesis. Specific topics of my investigation include molecular analysis of how HPV gene expression is regulated by viral and cellular transcription factors. This analysis includes study of a complex regulatory region within the viral genome that contains the major promoter and enhancer elements for the viral oncogenes called the E6 and E7 genes. Recently, in the process of exploring facets of the viral life cycle, we have discovered that a derivative of the plant lignan, nordihydroguaiaretic acid, has specific and potent inhibitory activity on HPV oncogene expression. Using these compounds, we should be able to reduce the levels of the viral E6 protein and thus interfere with a major route that leads to HPV- induced pre-cancerous and cancerous lesions. These results, with others, suggest that it may be possible to manipulate the p53 tumor suppressor pathway to induce cell cycle growth arrest and subsequently apoptosis of pre-cancer and cancer cells treated with the plant lignans or in combination with other drugs. In order to determine that we are inducing senescence and/or apoptosis, we are currently measuring telomerase activity within drug-treated cells, cell cycle regulatory proteins, and apoptosis pathway activation. The cytochrome P450 gene 4 family (CYP4) consists of a group of over 63 members that function to ω-hydroxylate the terminal carbon of fatty acids. In mammals, six subfamilies have been identified and three of these subfamily members show a preference in the metabolism of short (C7-C10)-CYP4B, medium (C10-C16)-CYP4A, and long (C16-C26)-CYP4F, saturated, unsaturated and branched chain fatty acids. These ω-hydroxylated fatty acids are converted to dicarboxylic acids, which are preferentially metabolized by the peroxiosome β-oxidation system to shorter chain fatty acids that are transported to the mitochondria for complete oxidation or used either to supply energy for peripheral tissues during starvation or used in lipid synthesis. The differential regulation of the CYP4A and CYP4F genes during fasting, by peroxisome proliferators and in non-alcoholic fatty liver disease (NAFLD) and hepatocarcinogenesis suggests different roles in lipid metabolism. The ω-hydroxylation and inactivation of pro-inflammatory eicosanoids by members of the CYP4F subfamily and the association of the CYP4F2 and CYP4F3 genes with inflammatory Celiac disease indicate an important role in the resolution of inflammation. The close clinical association of Celiac disease with inflammatory disease of the liver; primary biliary cirrhosis, primary sclerosing cholangitis, autoimmune hepatitis, hemochromatosis, and fatty liver disease suggest that the CYP4 genes may play a vital functional role in the altered lipid metabolism and inflammation observed in these diseases. Several human diseases have been genetically linked to the expression CYP4 gene polymorphic variants, which may link human susceptibility to diseases of lipid metabolism and the activation and resolution phases of inflammation. Understanding how the CYP4 genes are regulated during the fasting and feeding cycles and by endogenous lipids will provide therapeutic avenues in the treatment of metabolic disorders of lipid metabolism and inflammation. My current research is directed toward understanding the control and regulation of the CYP4 genes in fatty liver disease and its progress to steatohepatitis and hepatocarcinogenesis. In fatty liver disease, we hypothesize that induction of the CYP4A genes and uncoupling of the catalytic cycle by excess fatty acids results in increase reactive oxygen species, which is the second hit in the progression of steatosis to steatohepatitis. In contrast, the down-regulation of the CYP4F genes in liver results in both a altered oleic to stearic acid ratio leading to increased fatty acid accumulation in hepatocytes (first hit) and increased pro-inflammatory LTB4 levels leading to neutrophil recruitment to liver (second hit). Extending this hypothesis to the progression of liver steatohepatitis to hepatocarcinogensis is evident. Down-regulation of CYP4F genes, which metabolize arachidonic acid and pro-inflammatory leukotrienes that recruit immune cells to sites of injury allows transformed cells to escape the host immunosurveillance system and thereby have a selective growth advantage. CYP4F1 gene expression is elevated in hepatic tumors, and cytochrome P4504F1 metabolizes the potent chemokinetic and chemotactic modulator of the inflammatory response, LTB4. Therefore, tumor cells expressing P4504F1 escape the immunological surveillance system. My research interests are the role of orphan nuclear receptor SHP in diet induced diabetes and obesity. The Lynch laboratory is exploring how viruses and prions interact with cells of the brain and spinal cord to cause disease. While it is widely appreciated that viruses cause a variety of human diseases ranging from the common cold to cancer. Less well understood is whether and how viruses are involved in causing neurodegeneration such as Alzheimer’s disease. Moreover, viruses of the retrovirus family have been implicated in causing multiple sclerosis (MS), sporadic amyotrophic lateral sclerosis (sALS; Lou Gehrig’s Disease) and schizophrenia; and they are known to cause cognitive and motor problems in individuals infected with the human immunodeficiency virus (HIV), and the human T-cell lymphotropic viruses (HTLVs). How retroviruses cause these different neurodegenerative conditions remains unresolved. With grant support from the National Institute of Neurological Disorders and Stroke, the Lynch lab has been exploring how the infection of glia, leads to the dysfunction of neurons that control muscle movement and other complex brain functions. The astroglia (aka, astrocytes) are the most abundant cell type in the central nervous system (CNS), and were previously thought to be simple neuron support cells. However, recent studies have shown that these cells are capable of regulating neuron-neuron signaling, and therefore contribute an additional level of complexity to the regulation of brain function. Research in the Lynch laboratory has been examining how retroviruses interfere with normal astrocyte-neuron communication, and exploring why this leads to neuron subtype hyper-activity; the appearance of sponge-like pathology in the brain and spinal cord; and the onset and progression of paralysis leading to morbidity and mortality. These studies are performed using neurovirulent and avirulent human and mouse retroviruses in genetically engineered stem cell-based brain chimera model systems, using state-of-the-art neurophysiology and virus imaging tools. These studies are leading to a detailed understanding of how astrocytes participate in normal brain circuit function and revealing how viral proteins interfere with this process, leading to neurodegeneration. This new understanding will provide the basis for the developing novel therapeutic strategies for treating devastating human neurological diseases. Elucidation of cellular and molecular mechanism(s) of accelerated atherogenesis among diabetics is the primary focus of my research. In the light of the importance of obesity as an independent risk-factor for both diabetes and related vascular complications, my research program is two-fold: 1) regulation of vascular gene expression by adipokines to better comprehend the role of the adipose tissue in vascular diabetic complications, and 2) to explore the underlying MOA of antidiabetic agents implicated in diabetes and related vascular disorders. Currently, we are studying the role of thrombospondin-1 (TSP-1), a potent antiangiogenic and proatherogenic protein with strong implications in atherogenesis, in leptin-mediated macrovascular complications. We are using various approaches that involve cell and molecular biology, biochemistry and mouse models for these studies. Mechanical Control of Endothelial Cell Function, Angiogenesis and Stem Cell Differentiation Cells within all living tissues encounter mechanical forces continuously within a changing dynamic environment, and increasing evidence suggests that mechanical forces regulate cell growth, differentiation, motility, protein synthesis and gene expression. Importantly, mechanical forces are critical regulators of cardiovascular physiology and pathophysiology. Therefore, understanding how cells sense and convert mechanical signals into biochemical signals, mechanotransduction, could offer novel therapeutic targets for treatment of various cardiovascular diseases and in vitro engineering of organs and tissues such as blood vessels. The long-term goal of my research is to work at the interface between soluble and solid state biochemistry using multidisciplinary approaches to investigate the biophysical, biomechanical and biomechanical mechanisms regulating endothelial cell function and angiogenesis and utilize the knowledge to develop effective vascular normalization therapies for cardiovascular abnormalities such as atherosclerosis, hypertension, diabetes and cancer. Currently, my laboratory is focused on understanding the role of mechanosensitive TRPV4 ion channels in the regulation of a) Tumor angiogenesis: Tumor vessels are characterized by abnormal morphology and patterning that cause vascular hyperpermeability and inefficient delivery of anti-cancer agents. We recently demonstrated that these vessel malformations may arise from aberrant Rho-mediated mechanosensing exhibited by tumor endothelial cells in response to mechanical strain. We also found that TRPV4 channels are required for endothelial cell reorientation in response to mechanical force. Therefore, we are investigating the role of TRPV4 channels and dependent signaling mechanisms in the regulation of tumor endothelial cell mechanosensitivity in order to identify novel targets that can be potentially used to normalize abnormal tumor vasculature and improve delivery of chemotherapeutic drugs in vivo. b) Stem cell differentiation into bone and cartilage: Mechanical forces are critical determinants of tissue morphogenesis including bone which is continuously exposed to mechanical forces. Indeed, local micromechanical forces have been shown to regulate human mesenchymal stem cell commitment to bone forming osteoblast like cells. Our focus in this project is to elucidate the biomechanical mechanisms that regulate stem cell differentiation in to bone and cartilage. To this end, we are collaborating with the Departments of Polymer Engineering, University of Akron and Plastic Surgery, Akron Children’s Hospital to develop tissue engineering scaffolds that are mechanically osteo-inductive for bone regeneration therapy. Current main focus is to study stem cells in cardiovascular regeneration in metabolic syndrome. We study the partially reprogrammed vascular progenitor cells, bone marrow derived stem cells, adipose derived stem cells, cardiac stem cells and induced pluoripotent stem cells in the animal models for coronary collateral growth which will prevent the myocardial ischemia injury or deliver the promising stem cells with biomaterial for tissue regeneration in myocardium infarction injury. We also move forward to clinical translation study in patients with cardiovascular diseases. Research in Dr. Zhang’s group aims to understand how bile acid, lipid and glucose metabolism is regulated under physiological and pathological conditions. Dysregulation of bile acid, lipid and/or glucose metabolism may contribute to the pathogenesis of fatty liver disease, diabetes, obesity and atherosclerosis. Dr. Zhang’s group is working on different metabolic targets, including nuclear hormone receptors (FXR, HNF4a, RARa), carboxylesterases, microRNAs, long non-coding RNAs, etc. These targets may play a role in the pathogenesis of metabolic disorders or may serve as therapeutic target(s) for treatment of the common metabolic diseases.